The definition of faith he quotes is indeed from Webster’s Dictionary. But it is inaccurate. Does this mean that the dictionary is wrong and that I will be using a definition not in the dictionary? Not quite. Merriam-Webster clarifies the meaning in its Synonym Discussion of Faith , where it says, faith almost always implies certitude even where there is no evidence or proof. This better conveys what I mean by faith, which is certitude despite the lack of evidence or proof. There are two components here: certainty and a lack of justification for the belief. In two words, what I mean by faith may be called unjustified certainty. Unjustified certainty may be contrasted with two things. One of these is knowledge, which is justified true belief, and the other is assumption, which is something that is assumed to be true without being certain about it. Knowledge may be held with certainty. For example, I am certain that 1+1=2. The difference is that knowledge is justified. I know for an indisputable fact that 1+1=2 and that it couldn’t be otherwise. 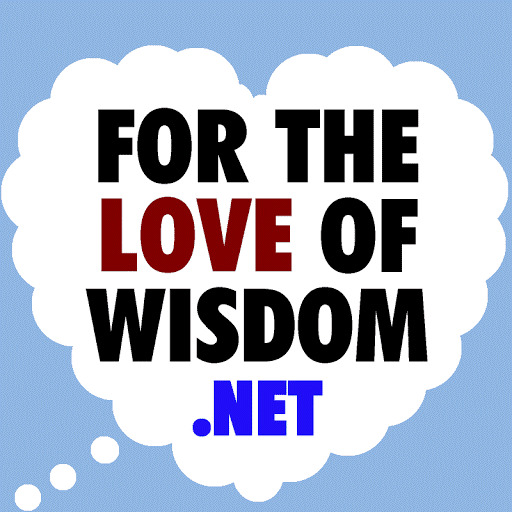 Assumptions may be made with greater or lesser degrees of uncertainty. Some assumptions are better supported by evidence than others, but the assumptions we hold are normally held with some degree of uncertainty – with the recognition of some chance that we could be wrong. This recognition is missing in faith. If atheistic worldviews are all held on faith, then they are held with certainty and without justification. This is certainly a more damning thing to say of them than that they are merely strongly believed. I think Mark Rost really wants to say this, but since this claim is insupportable, he also tries to weasel out of it by stating that his definition of faith is just strong belief or trust in someone or something . Why is this claim insupportable? First of all, no good evidence supports the existence of God, and there are good reasons, such as The Impossibility of Omniscience, for believing that there really is no God. Of course, the theist may not be convinced of this. So, the other thing to point out is that many atheists are agnostic atheists. As agnostics, they refuse to consent to beliefs that are not supported by evidence, and they recognize that belief in God is not supported by evidence. So, instead of saying with full certainty that there is no God, they assume, with a recognition that they could be wrong, that there is no God. 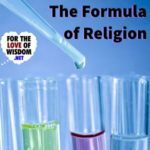 Since atheistic worldviews may be based on either knowledge or assumption, neither of which are faith, it is not true that all atheistic worldviews are held through faith. Regarding Rost’s second point, acting does not require faith. Action may be based on either knowledge or assumption. If a scientist does an experiment, for example, he is acting on the assumption that his hypothesis is correct, but he also recognizes that the results of his experiment may prove him wrong. When a gambler places a bet, he is acting on the assumption that some chance event will have a certain outcome. He understands that it isn’t a matter of 100% certainty. If he did, he might bet all of his money on the outcome. In daily life, we frequently act on assumption rather than certain belief. We eat food with the assumption that it won’t be poisonous. We walk around unarmed with the assumption that people won’t be trying to kill us. We travel in vehicles with the assumption that we will safely get to our destination. My use of the word assumption is related to how the word is used in symbolic logic. When I do a conditional proof or an indirect proof, I make an assumption. This assumption is not a premise, and it is not a conclusion derived from my premises. Instead, it is something I assert without any evidence for it for a limited duration. This duration has to finish before the argument finishes. So I cannot just assume something and then conclude its truth. Instead, I temporarily assume something for the sake of seeing what it leads to. I may do a conditional proof by assuming the antecedent of a conditional and deriving the consequent. This will just show that if my assumption is true, then something else is true. I may do an indirect proof by assuming something I want to disprove, then showing that this assumption leads to a contradiction. What assumptions in daily life have to do with this kind of assumption is that they are provisional, and in making an assumption, we observe what results we get from acting on this assumption. If we continue to get positive feedback for maintaining an assumption, we normally continue to assume it, and when we get disconfirmation of an assumption, we drop it. Since 1 and 2 are not true, 3 does not follow. But let’s assume, for the sake of argument, that 3 is true. Does that make it a religion? The definition he uses may imply this if we adjust it a little bit. Instead of beginning with a, which leaves room for exceptions, it would have this implication if it began with any. Why should this make a difference? Consider that Webster’s defines lion as a large wild cat that has golden brown fur and that lives mainly in Africa. If we replaced a with any here, the definition could include tigers or other large cats. Putting that aside, he has used the fourth definition. He is cherry-picking from the dictionary to get the definitions he needs to support his conclusion. The very first definition that Webster’s gives for religion is the belief in a god or in a group of gods The second definition it gives is an organized system of beliefs, ceremonies, and rules used to worship a god or a group of gods. Going by these definitions, no atheistic worldviews are religions, for atheists do not believe in or worship any gods. Definition 1a(1) mainly corroborates this but leaves a loophole. It says, the service and worship of God or the supernatural. By adding or the supernatural, it allows for religions without gods, such as some forms of Buddhism or Taoism, so long as they still presume some supernatural understanding of the world. As defined by philosopher Paul Draper, naturalism is the hypothesis that the natural world is a closed system in the sense that nothing that is not a part of the natural world affects it. More simply, it is the denial of the existence of supernatural causes. In rejecting the reality of supernatural events, forces, or entities, naturalism is the antithesis of supernaturalism. Although there could be atheistic religions that still believe in some kind of supernatural world, naturalism is a worldview that rejects supernaturalism. So, atheistic worldviews that are naturalistic would not count as religions by this definition. Now, what are we to make of the definition that Rost uses? It seems a bit broad. There is generally more to religion than believing in a cause or principle, even if it is on faith. For example, a Catholic nun could care about women’s rights without that actually being her religion. Let’s at least limit this to systems of belief. Communism is an example of an atheistic worldview that might count as a religion by this definition. At least it can be said that some communists have been religiously devoted to communism. Like more traditional religions, communism gives people’s lives meaning by giving them a goal to strive for together, and it even has a sort of eschatology about how socialism will replace capitalism, and communism will replace socialism, creating a dictatorship of the proletariat that will be a paradise for everyone. Communism might count as a religion in a broad sense, because it at least includes the trappings of religion. But, in general, most atheistic worldviews do not even include this much, and they are not based on faith anyway. 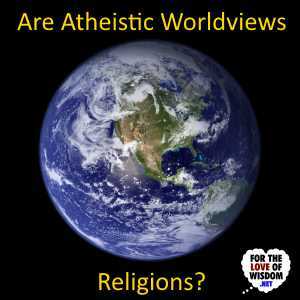 So, most atheistic worldviews should not be called religions in any sense. 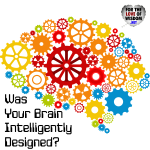 Was Your Brain Intelligently Designed? 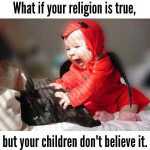 Does Atheism Make Reason Impossible?